Canvas Gallery Wraps offer a superb way to display photographs. Canvas Wraps are an alternative to conventional framing and provide a modern and artistic way to frame your photograph. 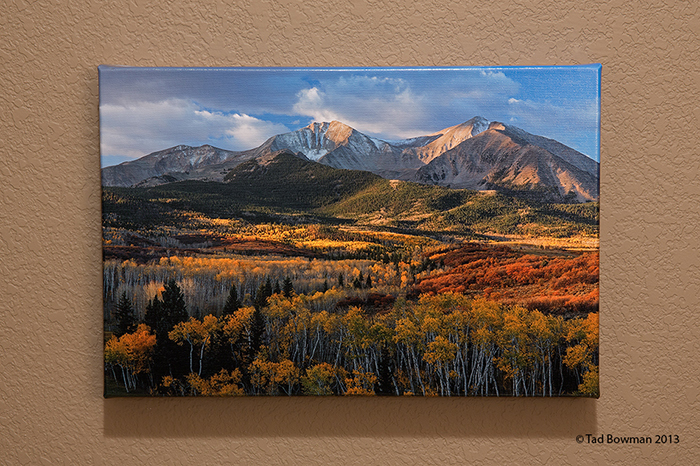 The Canvas wrap is ready to hang on your wall, right out of the box. The photograph is printed on canvas and then wrapped around a 1.5 inch thick wood frame. Additionally, the photo is mirrored and wrapped around the edges so that there is a smooth transition of the image across all edges. Lastly, the canvas wrap is stretched over an acid free box and stapled on the backside. This prevents the canvas from sagging over time creating unwanted seams. 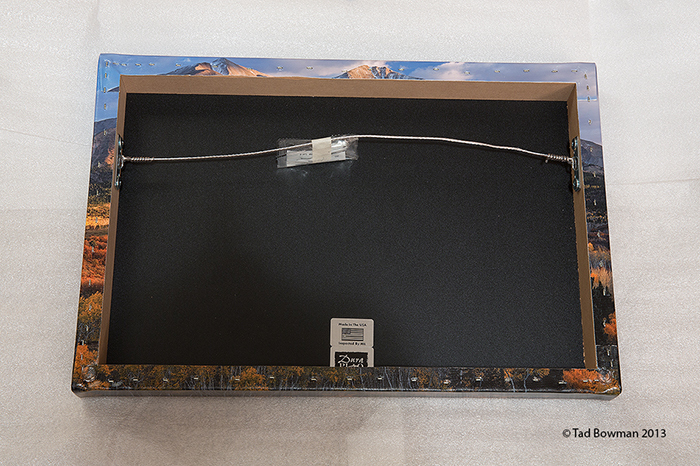 For image sizes of 12x18 and 16x24, a wire hanger will be attached for easy installation. For image sizes greater than 16x24, a French Cleat system will be attached so that the weight of the canvas will be better supported. High grade, recycled 1/8” eco-friendly wood based product coated for moisture resistance and longevity. Backing component is created with 1-1/2” wood stretcher frame.